Johnson & Johnson (J&J) business unit DePuy Synthes Products has acquired 3D printing technology from Tissue Regeneration Systems (TRS) for the treatment of bone defects. The acquired 3D printing technology will allow DePuy Synthes to develop patient-specific bioresorbable implants with an advanced mineral coating, which will help in bone healing in patients with orthopaedic and craniomaxillofacial deformities and injuries. The acquired business will enable DePuy Synthes to expand its health care solutions for trauma segment. DePuy Synthes company group chairman Ciro Römer said: "The TRS technology, which will be added to the DePuy Synthes Trauma Platform, is the latest example of how we are working toward developing next-generation technologies that transform healthcare delivery with individualized solutions for patients." In 2014, DePuy Synthes first partnered with TRS through Johnson & Johnson Innovation to develop solutions across the medical device, consumer healthcare and pharmaceutical sectors. Established in 2008, TRS is engaged in the commercialization of skeletal reconstruction and bone regeneration technology based on research carried out at the University of Michigan and the University of Wisconsin. DePuy Synthes Companies produces products for various applications, including joint reconstruction, trauma, craniomaxillofacial, spinal surgery and sports medicine. 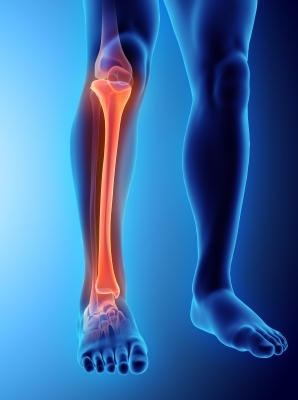 Image: DePuy Synthes has acquired 3D printing technology to create bone-healing implants. Photo: courtesy of yodiyim / FreeDigitalPhotos.net.